The Printing House is proud to once again sponsor the 3rd annual YYC Beer Week! Window, floor, and wall graphics, and much more! They love print almost as much as they love beer! Each participating venue can order up to 50 complimentary tent cards, 5 complimentary posters, and coasters, featuring the official YYC Beer Week design, delivered between May 20 and May 31. Please complete your order ASAP using the form below to ensure your print materials arrive on time. **If you are ordering for multiple locations please submit a separate form for each location. Once you have completed your first order using the form below, simply refresh this page to place your next order, and so on. How many table tent cards do you require? How many posters do you require? Thank you! Your order will be delivered between May 20-31. To place an order for another location simply refresh this page. 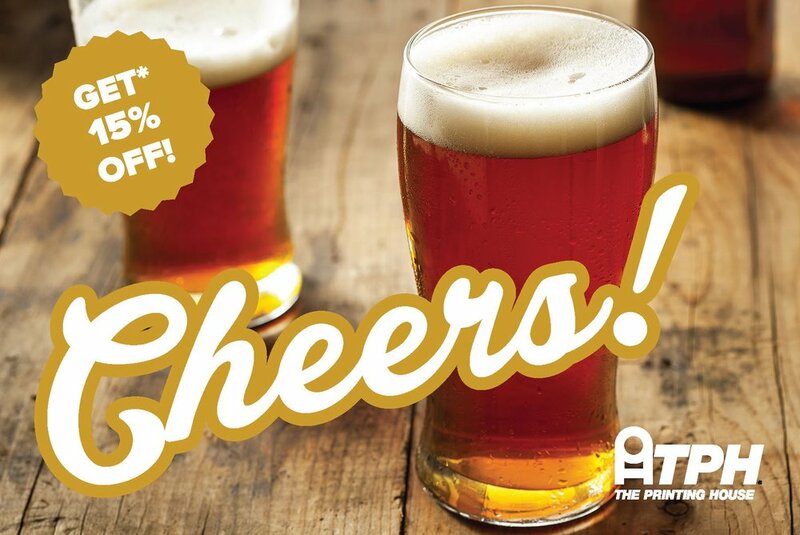 Mention 'YYCBEER2019' before May 31, 2019 and receive a special 15% discount on all your additional printing needs. 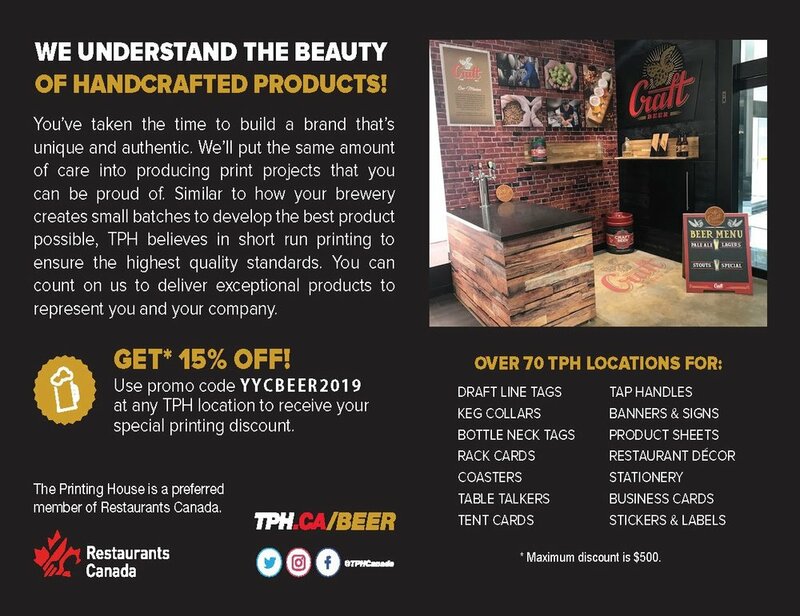 Please contact Gianni Dente gianni@tph.ca, visit www.TPH.ca/Calgary or www.TPH.ca/Beer to claim this offer.